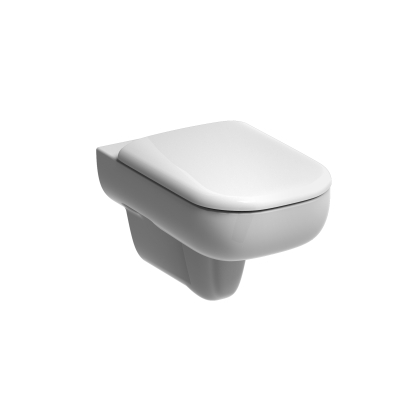 Rimfree WC suite, easy to clean and nowhere for germs to hide. Achieves a flushwise 4/2.6 L flush. Round or square seat options to match washbasin. Round, soft closing mechanism, standard hinges. Round, top fix standard hinges. Square, soft closing mechanism, standard hinges. Square, top fix standard hinges. SR8138XX - Supporting bracket and fixing kit. Supporting brackets screwed to floor for non load-bearing walls, up to 100 mm thick. S or turned P trap connector.